Intel hopes to set "a new standard for commercial-grade drones," with its announcement of the Intel Falcon 8+ UAV for North American markets. This octocopter drone is based upon the 'leading' AscTec Falcon 8 drone, with the best performance and weight-to-payload ratio available today. 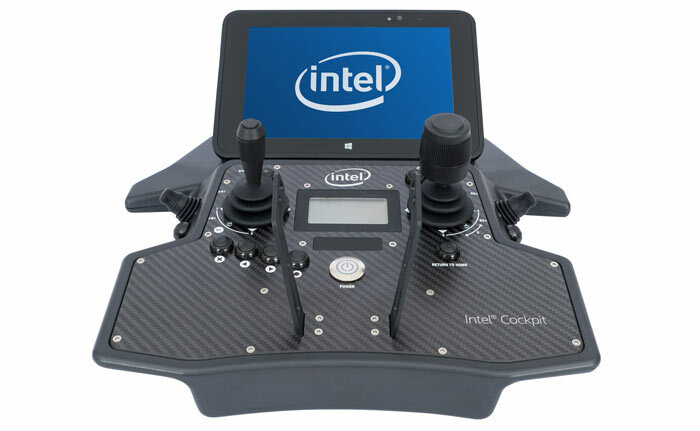 Intel has taken the design further and improved upon it with its own technology including the Intel Cockpit for ground control, and Intel Powerpack smart batteries to power the UAV. The Intel Falcon 8+ is the first Intel-branded commercial drone. With its new drone product, Intel has incorporated full electronic system redundancy and automated aerial-sensing solutions with best-in-class onboard sensors. The triple-redundant AscTec Trinity autopilot further enhances the drone's core functionality. With all the AscTec UAV technology on board you might think it would be a good idea for Intel to buy up this specialist company – it already did so, back in January. Hinting at one possible use of the new Falcon 8+ System, Intel says that it can capture detailed images down to millimetre accuracy "and gives valuable structural analysis that helps users detect and prevent further damage to infrastructure". 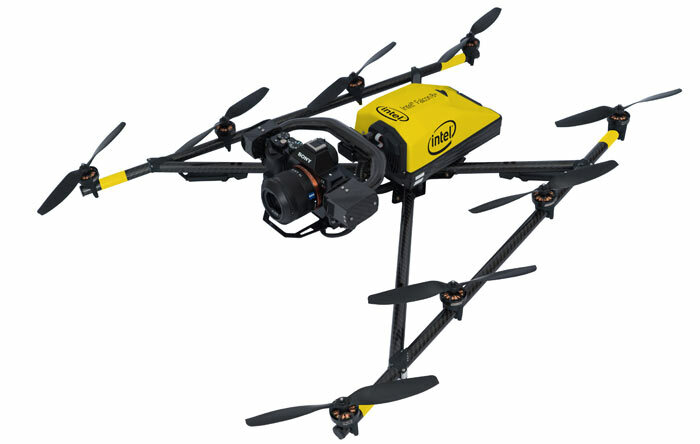 Drone operators will be able to generate highly valuable precision aerial data, says Intel. Above you can see the drone clearly pictured, and below is an equally impressive looking piece of hardware - the Intel Cockpit. From this water resistant device an operator controls the UAV and can even equip a tablet computer for flight planning and monitoring. You can read more in depth details about the Intel Falcon 8+, Intel Cockpit, and Intel PowerPack in a PDF factsheet. 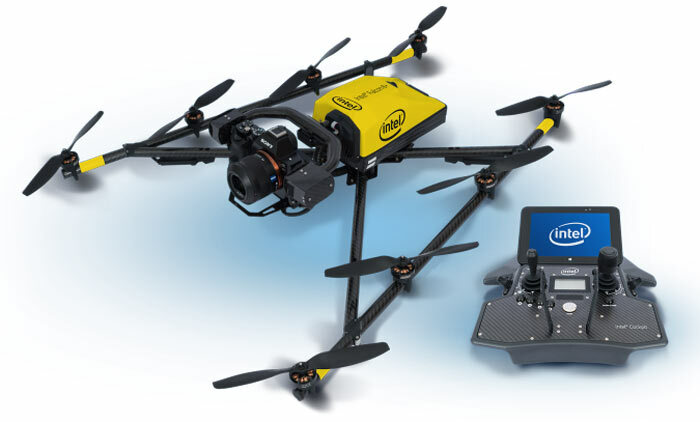 Intel asserts that "drones are an important computing platform for the future," and has created a webpage dedicated to drones and supporting technology. A Windows 10 drone. Now MS can farm all the data. Genius.